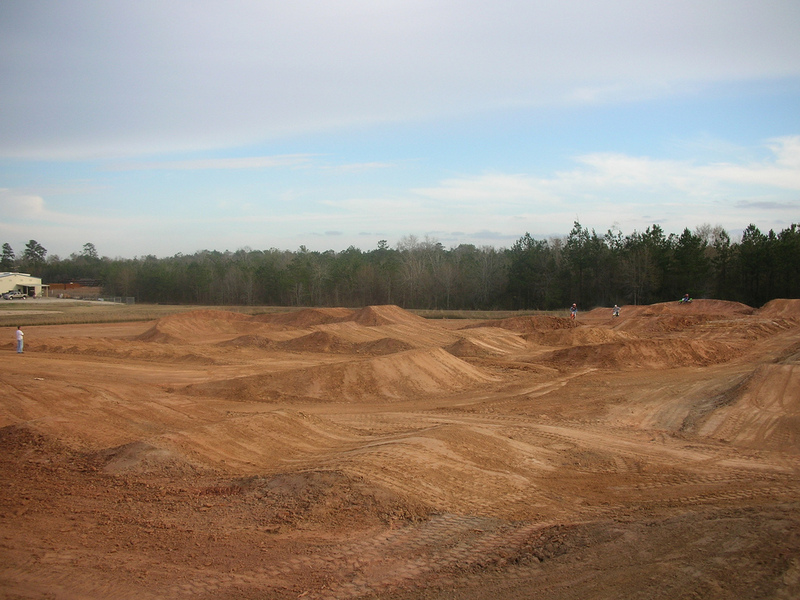 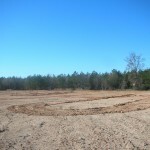 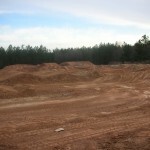 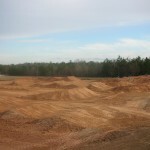 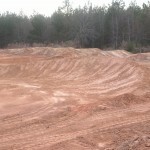 We built this supercross track for up and coming 65/85 rider, Challen Tennant. 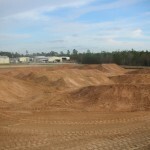 The track is located in Conroe, Texas. 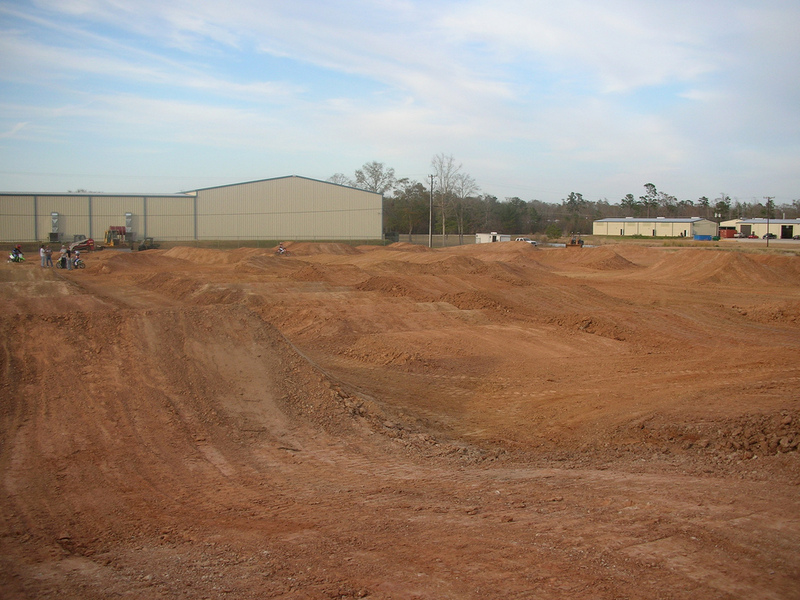 We were actually in Texas at the time building the Cernics Kawasaki team supercross track, when Challens grandfather called us to see if we could come build him something. 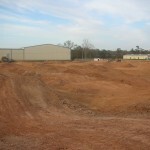 Three days later, we were there moving dirt. 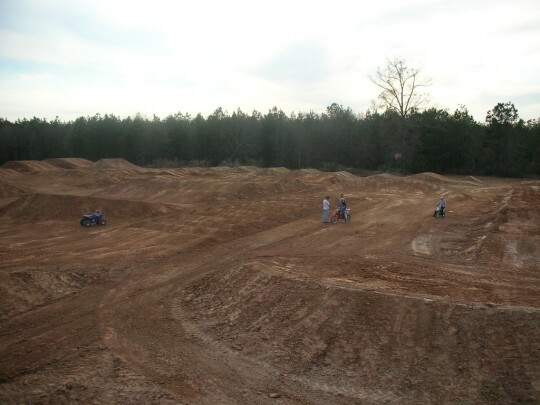 This was a really cool track, it was basically a full blown SX track just shrunken down so that the 65 and 85 bikes could make the jumps. It had all the features of a real SX, including whoops, triples, rhythm sections, and huge bowl corners. 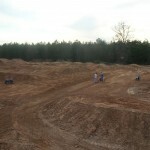 (I was dying to get on a pitbike and ride this thing!) 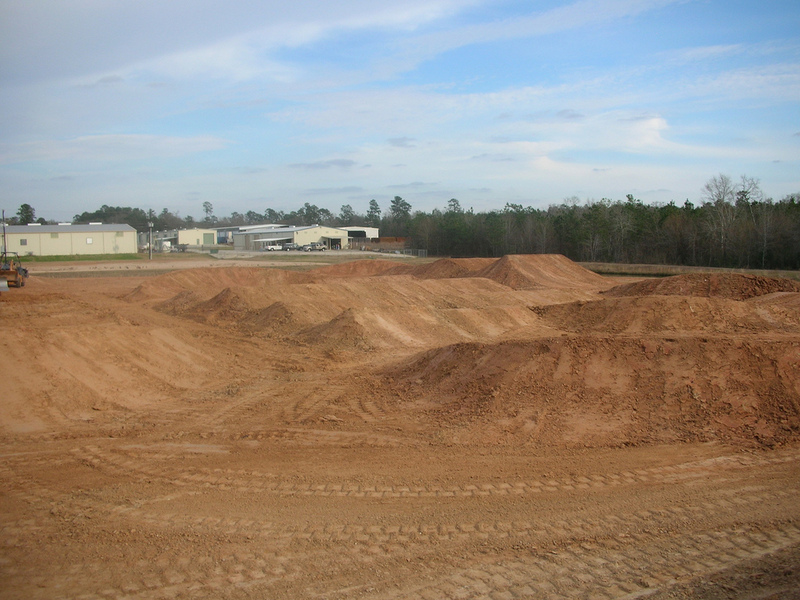 This is a good example of how we can generate dirt from a flat area to build a track. 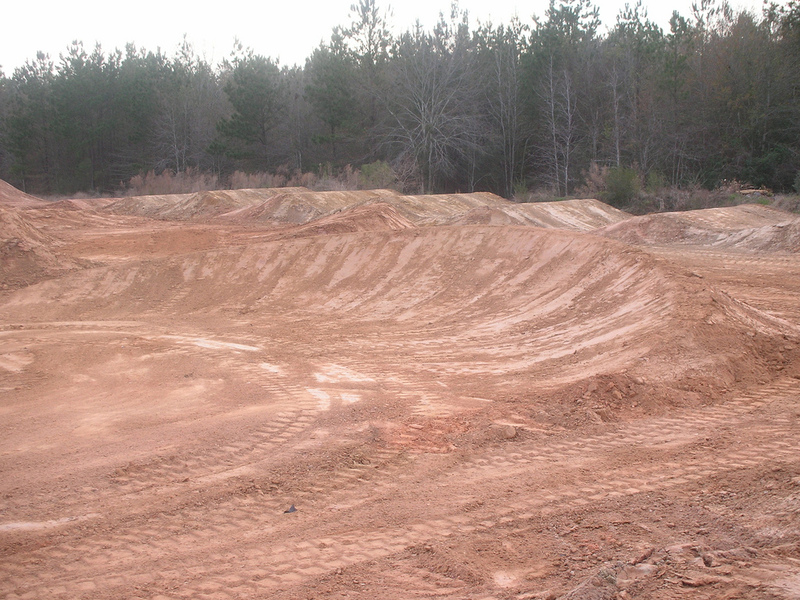 We didn’t haul any dirt in to build this track. 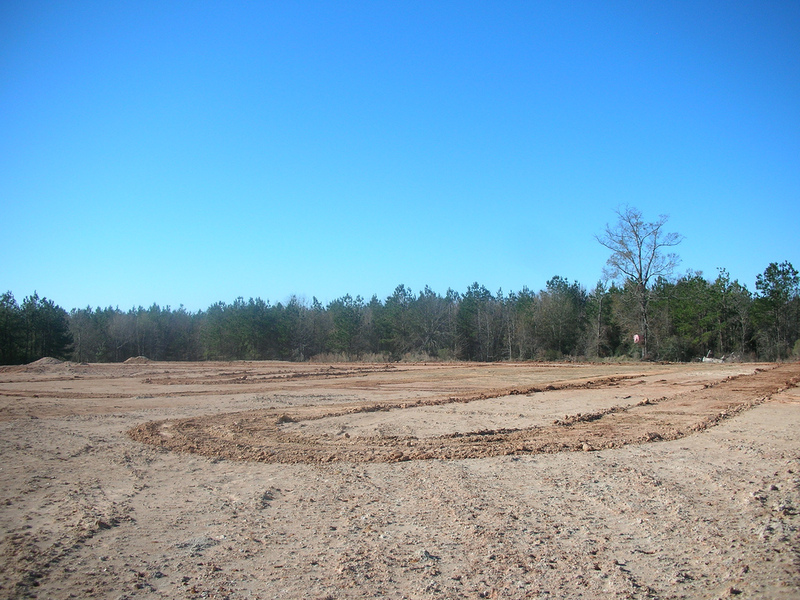 Basically by lowering the entire grade, we were able to generate enough dirt and still keep positive drainage all the way around. 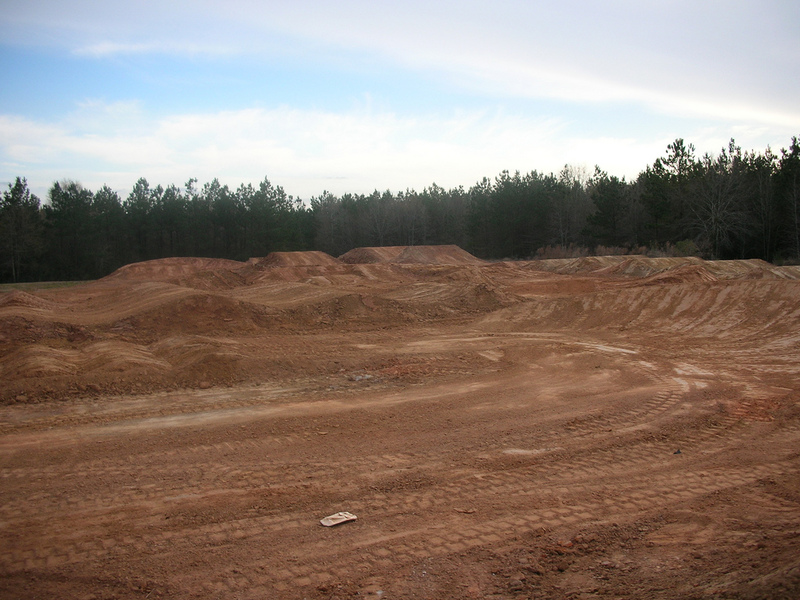 See the before and after pictures.